The Gateway Arch Park App aids and enhances the visitor experience at the Gateway Arch, surrounding park, riverfront, and Kiener Plaza. The Gateway Arch Park app is the first ever mobile app for the Gateway Arch experience . 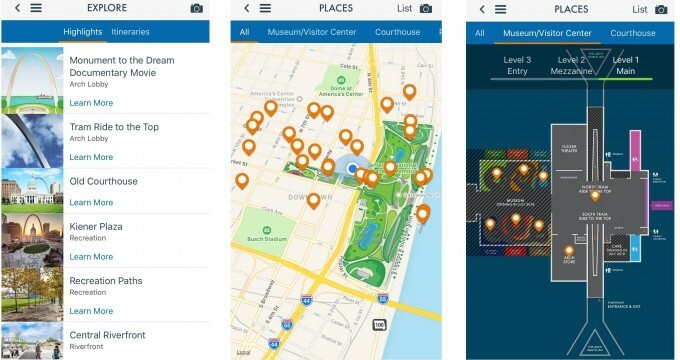 The app offers the most sought after functions for visitors at the Arch: a map of downtown parking, a link to buy tickets, accessibility information, a map offering points of interest in the park and new museum, information about museum exhibits, an event calendar, timed visitor itineraries, and a built-in Gateway Arch themed photo filter. A major theme of the CityArchRiver project is accessibility and the project partners have worked with the Universal Design Group – a committee of people with a variety of disabilities who serve to review and comment on designs. The app has been tested to ensure that everyone – especially people who are blind, low vision, or deaf – will be able to use it. 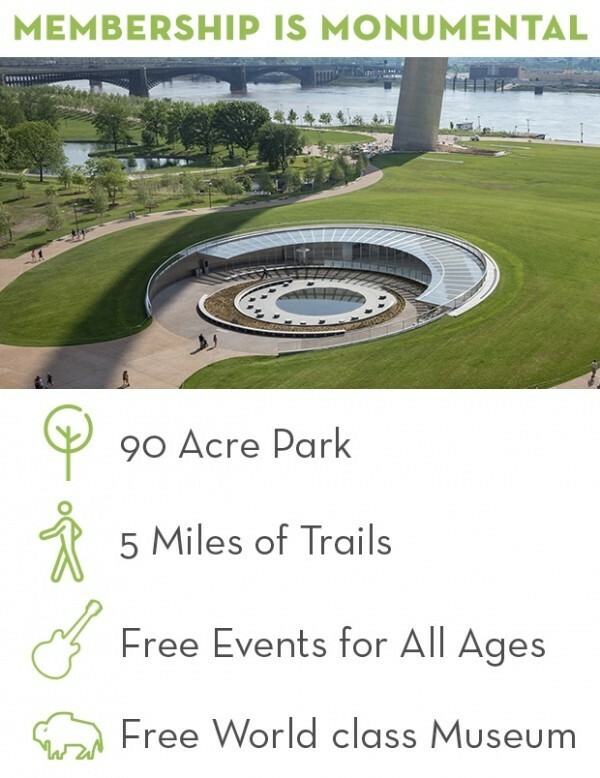 Click here to download the Gateway Arch Park Mobile App from the Apple App Store. 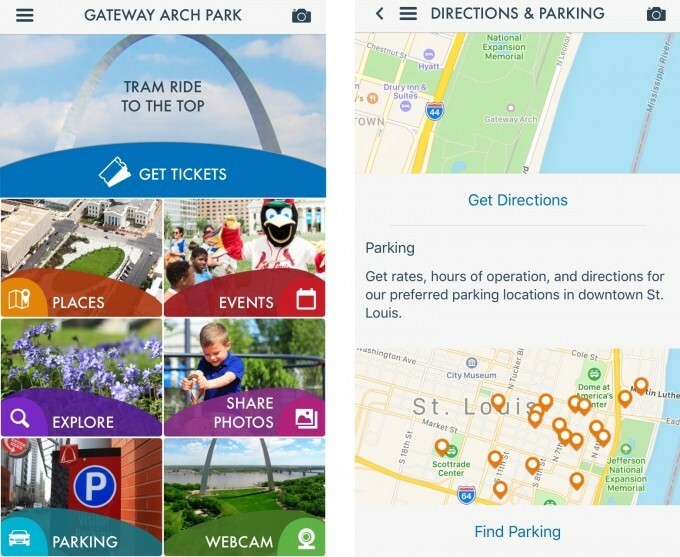 Click here to to download the Gateway Arch Park Mobile App from the Google Play Store. 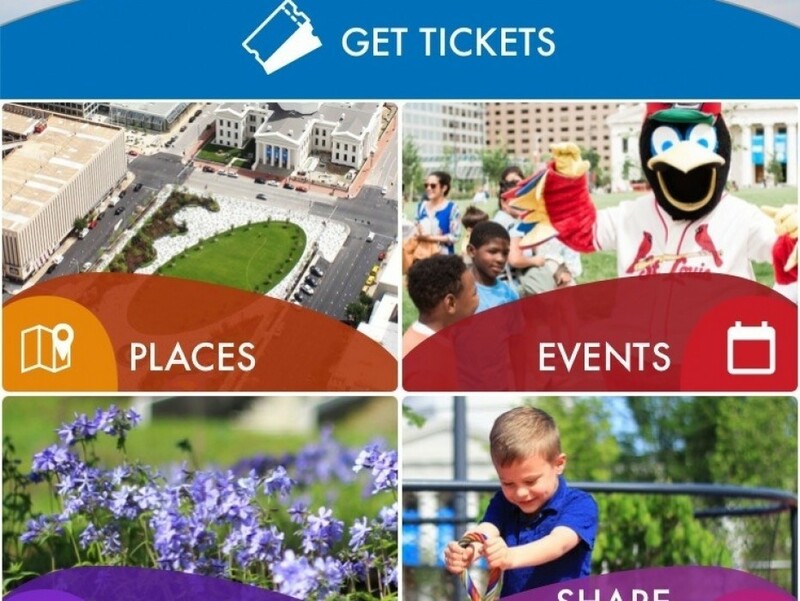 The Gateway Arch Park Foundation is thankful for the Region Business Council making the mobile app possible and for its commitment and support of our mission to ensure that the Gateway Arch, its grounds, neighboring public space, and attractions will be a vital, welcoming, well-supported resource to the community and nation for generations to come.